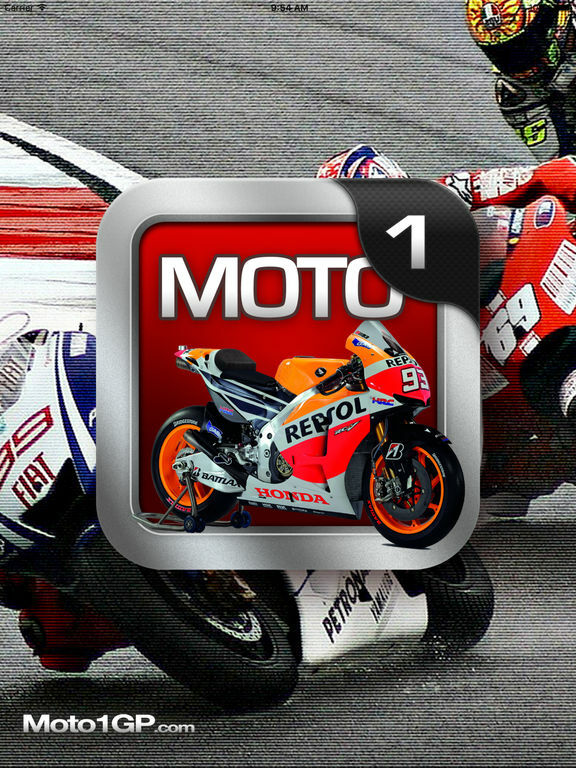 Watch the best in motor racing from MotoGP Video news of the Official Teams Ducati Corse, Yamaha, Honda and all other teams, Motorcycle Rider video blogs and interviews of Valentino Rossi, Gorge Lorenzo, Dani Pedrosa and more as well as on-board laps, interviews, technical, team launches and documentaries of it's history. 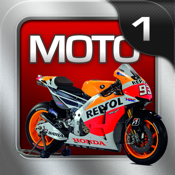 Moto 1 GP Video News brings all the latest championship standings, rider and team constructor information, calendar along with individual track and weather forecast right at your fingertips, designed simply and intuitively for iphone and ipad. No need to search multiple web sites, drivers Twitter feeds, newspapers or fan sites and simply delivers all the latest buzz in your pocket or on your tablet together in one app. - Rider and Constructors standings along with enhanced information such as Team, Nationality, Team History, etc. - Detailed information on each circuit on the calendar, including individual track information and weather. - Email, tweet or share via Facebook stories that your friends will find interesting.